Whitco Locksmiths – Supply & Install all Whitco Locks Dead Latch, Security door lock, Screen door Lock, Sliding Door Lock, FREE QUOTES dead lock, dead bolt, patio bolt all throughout the western suburbs of Sydney NSW. Target Locksmiths can offer the full range of Whitco products as installations or to repair a Whitco Lock. Whitco Dead Latch Available in Gold, Satin Chrome, Chrome plate, and bronze. Safety release to be able to automatically unlock the door internal knob when entering. Locking bolt deadlatches when door is closed. 60mm backset, door thickness 30mm to 45mm, bolt ristant cutting, hold back function, suitable for standard doors and unit and apartments that require a fire rated deadlatch. Whitco Night Latch Budget Whitco lock, opened with a key on the outside and a knob on the inside, 60mm backset, suits a door thickness of 28mm to 45mm, 5 pin tumbler-cylinder, available in the colour brown. WhitcoMKll Tasman the most popular lock on security doors. Has an internal snub and a double cylinder mechanism. The key can be used to lock and unlock the handles. The snib can also be used to lock and unlock handles from the inside. The key will overide the turn snib in all cases. Supplied with a black body with optional coloured handles of Brown, white, Black, Gold and Primrose. Whitco hinged security or screen door Lock, dual fature gives privacy or deadlock feature, locked indication by snub, can be used on left opening doors or right opening doors, automatic latching, key overides snib, suits 20mm door thickness, and is avaible in bright gold, satin chrome, silver, mahogany, brown, pottery, white, black, gold primrose, green, doeskin, beighe, birch. Whitco no key safety mounted hinged screen door lock, can be used on left or right opening doors, reversible latch bolt, key can be used to lock from both sides, suits 20mm door tickness, . Can be used on timber or aluminium frames. Whitco Screen door latch round knob, mounted hinged screen door latch lock, suits left hand door and right hand door, internal snib, suits a wooden or timber door with a maximum thickness of 25mm, in black, brown, white or silver. Sliding Whitco Security Screen door mortice Lock, key can be used to deadlock on both sides of the lock, self latching, internal snib, key can overide the snub, can be used on a left hand or right hand door, suits aluminium doors, avaible in white brown or black. Economical popular sliding glass lock, reversable, Solid Metal D style zinc diecast deadlock, can be used on Aluminum doors and Timber Doors, can be used on any door thickness up to 35mm thick, , available in Silver, white, Black and Primose colours. Single cylinder zinc diecast lock, single beak, in black primrose or white, centre cylinder hole, 82mm between fixing holes. Slimline Double cylin=der sliding glass door lock deadlock, surface mounted, anti-lift pins, 82mm between fixing holes, Black colour only. 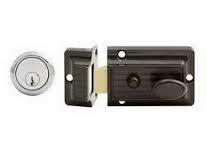 Whitco sliding Aluminium Window Lock, push bitton to lock and use a key to unlock, can be locked in the vented position or a fully close position, choose from Silver, White, Black, Primrose, Mahogany,. Side mount sliding Aluminium window lock, push the button to lock and use a key to unlock, can be locked in a partly open position or the fully closed position, Colour choice of Silver , Brown, White, Black and Primrose. Compact Whitco Lock, Suits timber and aluminium wiindow frames, front or side fitting, key to lock and unlock the lock, push bolt into latch, can we used on sliding windows, casement windows, awning windows and double Hung windows. Multi purpose Lock, Can be used with Aluminium and Timber windows, Can be used on sliding windows, csement windows, awning windows and double hung windows, front fix design, key to lock and unlock, push bolt into latch, colours are Silver, white Brown, Black, Bright Gold. Suits Aluminium and Timber framed windows, key to lock and unlock, available in Bright Gold, Satin Chrome, Bright Chrome, Mahogany, White, Black and Primrose, double swivle double hung lock, swivle type two way action. Compact and suits a mini small window, can be used on sliding casement and awning windows. Suits timber and wooden window edges, push to lock and key to unlock, one way screws, kets, comes in Gold, Silver, Brown, White and Black. Premium quality diecast window Lock, suits sliding windows, avaiable for wooden and aluminium windows, spring loaded catch for automatic latching, push lever to open and pull lever to close, 12mm flat strike, 5 disc barrel with keys. Lockable pull and latch, suits casement and awning windows, Can be used on timber and Aluminium Windows, left and right hand locks available, posetive fastening. Lockable with a key for chain type operated windows, avaiable for wooden or Aluminium windows, foldable handle, push button to lock and key to unlock, available in black, brown, white and primrose. If you have a Whitco Lock that is playing up on not working properly we are able to repair and modify Whitco Locks to ensure they function properly. If you need a new Whitco Lock we can supply and install brand new Whitco branded Locks to your door or window. Locked out of your Whitco Lock> He can open Whitco Locks, Pick Whitco Locks and unlock Whitco Lock doors. Lost your key to a whitco Lock, we make new keys to Whitco Locks. We are the Whitco Locksmith Specialist.